Because a pop ballad isn't for everyone. The majority of popular tunes selected for first dances are modern pop-ballads or old-school standards. But as much as the song selected should represent you and your new spouse’s relationship, it also needs to represent your taste. 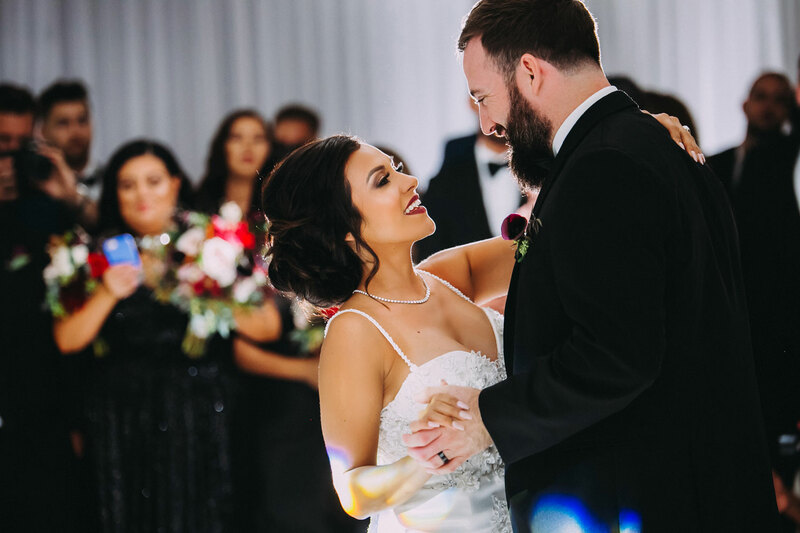 Those who prefer rock radio stations to top-40 and favorite genres including indie and pop punk may have a harder time finding the right track for their big day. So, we have created a list of options to help get you started. While there are plenty of slower tunes in these alternative genres, it’s also likely that if ballads aren’t your style, slow dancing isn’t either. Therefore the dozen songs below feature both melodies for gentle swaying and faster-paced numbers that will help get the party started. If none of these feel quite right, we recommend looking to acoustic versions or covers of your favorite love songs. For more ideas, discover current trends for reception music, see the best movies to watch while wedding planning, and view 12 songs perfect for your recessional.